This is one of games I’ve been waiting for since the early 90’s. The re-release will be long awaited for many gamers that love RPG’s. Not sure why Square Enix ranks this so low on their priority list as so many people love this game and what it stands for. That being a very in depth game that has loads of potential when thinking that this game could be being on a more powerful platform like the PS3 or the new PS4 or whatever they are calling it. I’ve tweeted this to both @playstation and @squareenix many times. Only one response which was that this will most likely happen but no telling when. Well I for one hope it is soon rather then later because I mean come on 10+ years is a long time to wait for a re-release. 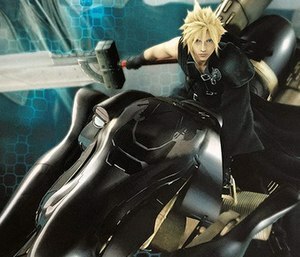 This entry was posted in Video Games and tagged Cloud Strife, Final Fantasy, Final Fantasy VII, Nobuo Uematsu, Playstation, Role-playing game, Square (company), Square Enix, Steam, Video game, Yoichi Wada. Bookmark the permalink.